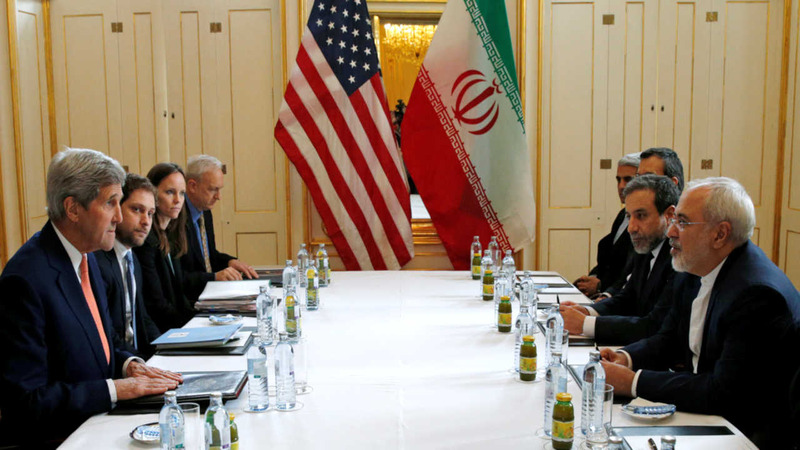 VIENNA -- The U.N. nuclear agency certified Saturday that Iran has met all of its commitments under last summer's landmark nuclear deal, crowning years of U.S.-led efforts to crimp Iran's ability to make atomic weapons. For Iran, the move lifts Western economic sanctions that have been in place for years, unlocking access to $100 billion in frozen assets and unleashing new opportunities for its battered economy. EU Foreign Policy chief Federica Mogherini - in a statement also read in Farsi by Iranian Foreign Minister Mohammad Jawad Zarif - said the accord "demonstrates that with political will, perseverance, and through multilateral diplomacy, we can solve the most difficult issues and find practical solutions that are effectively implemented." U.S. officials said the four - Washington Post reporter Jason Rezaian, former U.S. Marine Amir Hekmati, pastor Saeed Abedini and Nosratollah Khosravi-Roodsari - were to be flown from Iran to Switzerland on a Swiss plane and then brought to a U.S. military hospital in Landstuhl, Germany, for medical treatment. In return, the U.S. will either pardon or drop charges against seven Iranians - six of them dual citizens - accused or convicted of violating U.S. sanctions. The U.S. will also drop Interpol "red notices" - essentially arrest warrants - on a handful of sought Iranian fugitives. Still, it had little choice but to negotiate an end to the conflict after years of seeing as its revenues from oil sales - its chief income - dry up due to increasing U.S., European Union and other sanctions. Both sides took hits amid the diplomatic maneuvering - Iran from hardliners accusing Iranian Foreign Minister Mohammad Javad Zarif of selling out his country's interests and the White House from skeptics at home and abroad - particularly in the Middle East - who said the deal would keep Tehran's bomb-making capacities intact.